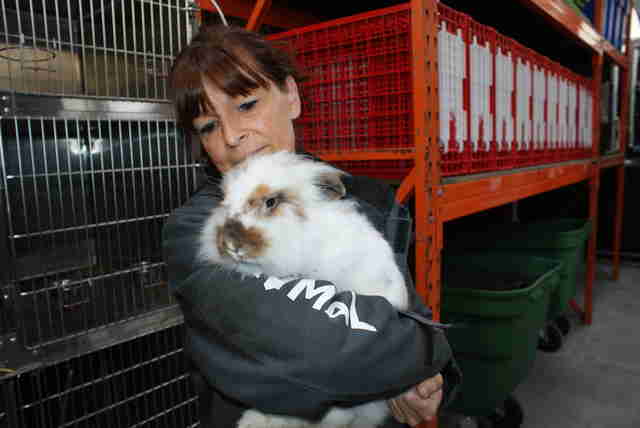 Staffers at the Belgium-based rescue Animaux en Peril were going about their daily tasks earlier this month when a neighbor rushed in with a heartbreaking plea for help. He had just spotted a person drive by the shelter and toss four rabbits into a ditch on the side of the road before speeding away. 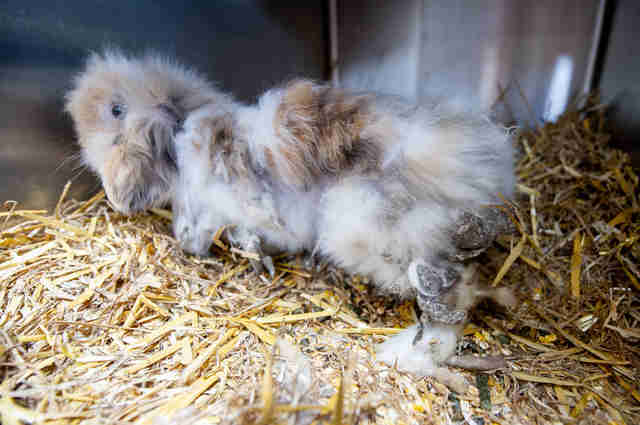 This description of the incident alone was bad enough — but when rescuers saw the rabbits up close, they knew for sure that the animals hadn’t been cared for in a very long time. 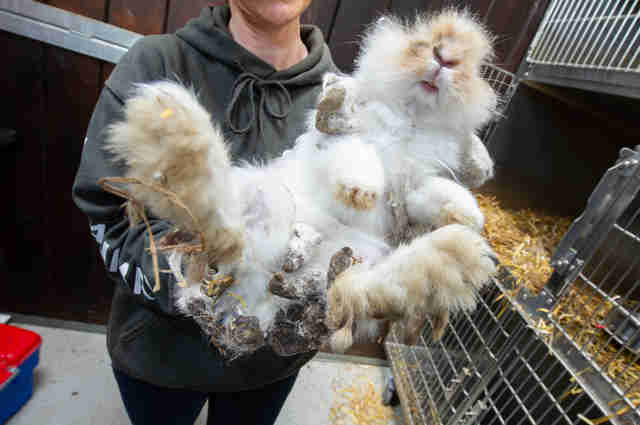 They were all filthy, and their fluffy white fur was tangled with thick mats coated in their own waste. Underneath their tattered fur, most were very skinny — and one even had teeth so overgrown that he couldn’t eat. Luckily, they somehow weren’t injured from being tossed from the moving vehicle. 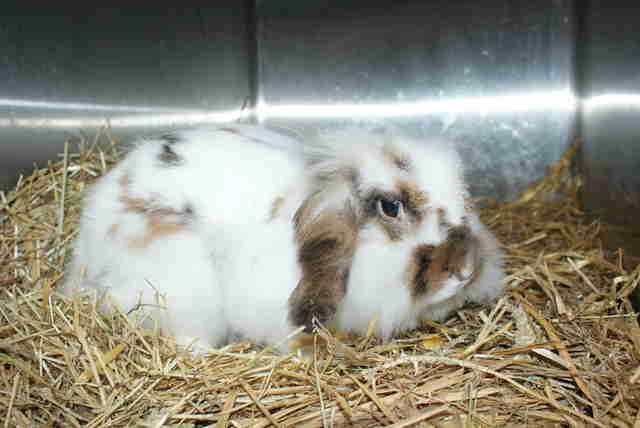 As they slowly got settled into the shelter, each rabbit was given a lengthy grooming session to trim off the thick mats that encased their legs and paws. They also received much-needed dental treatments for the damage caused by months — or even years — of an improper diet. Since rabbits’ teeth continuously grow throughout their lives, they can quickly get out of hand if they aren’t given hay and chew toys to keep their teeth filed down. 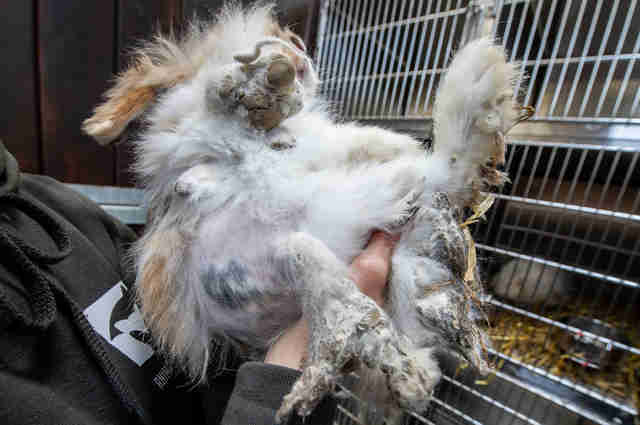 While it’s unclear where the rabbits once lived, their timid personalities and horribly matted fur means they were likely kept in tiny cages, Glenn said. 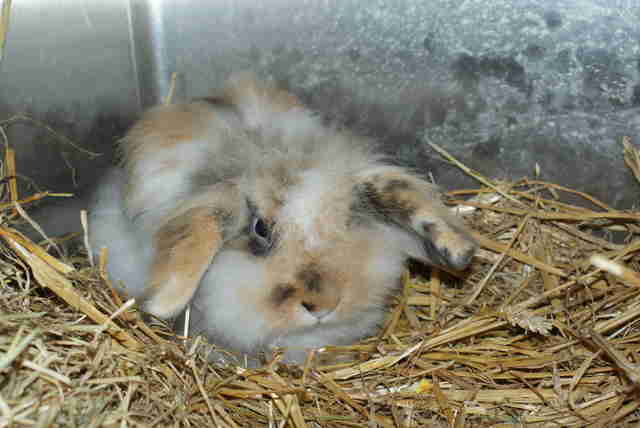 Their initial timidness around humans is very common in rabbits who have been mistreated, as they are naturally very sensitive animals. If they aren’t paid attention to, they can become very fearful and nervous of humans over time. 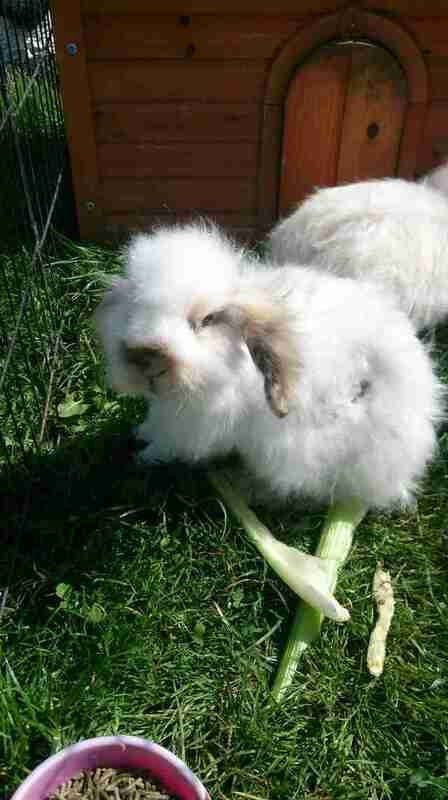 Luckily, the two males of the group, nicknamed Doc and Marty, came around rather quickly and were adopted out to a trusted friend of the rescue as soon as they were groomed and health-cleared. 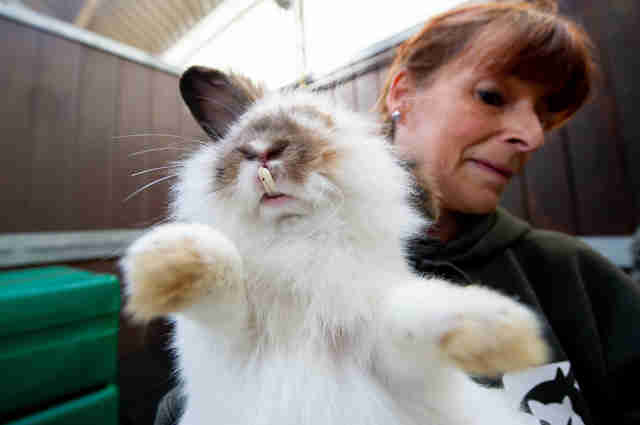 The two rabbits had an evident bond from the very start — and rescuers knew they had to stay together. Despite the trauma they’ve been through, the two friends are already settling right into their new forever home, where they have plenty of room to roam and play. 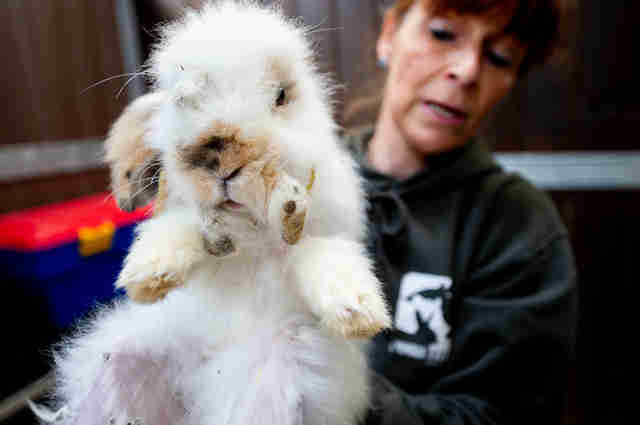 To help more animals in need, you can make a donation to Animaux en Peril.